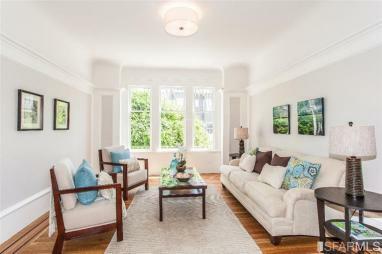 THIS EXQUISITE ONE BEDROOM UNIT IS LOCATED IN ONE OF THE MOST POPULAR CONDO BUILDINGS IN PACIFIC HEIGHTS. UNIT #702 HAS A GORGEOUS DESIGNER RENOVATED KITCHEN, FULL BATH AND OPEN LIVING-DINING ROOM, WHICH PROVIDES A GREAT SPACE FOR ENTERTAINING AND SOCIALIZING. TWO DECKS WITH WATER VIEWS OFF OF THE ENTERTAINING AREA COMPLETE THIS ELEGANT PROPERTY. Gorgeous home built in 2014. This outstanding house appears to be right out of Architectural Digest! There are three stories of divine living with designer finishes and incredible detailing throughout. 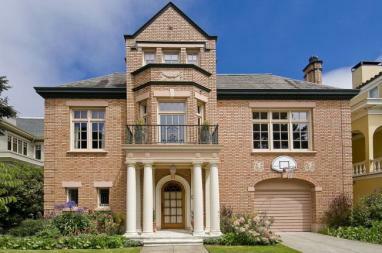 Included in this magnificent property are three bedrooms en-suite, a study and spacious laundry room on the top floor. The main and lower levels feature living and dining rooms, a state of the art designer kitchen and two half bathrooms, two family rooms and a 300-bottle-plus wine cellar. Outstanding views or outlooks from almost every room, three storage rooms and a lovely yard for entertaining complete this one of a kind property. 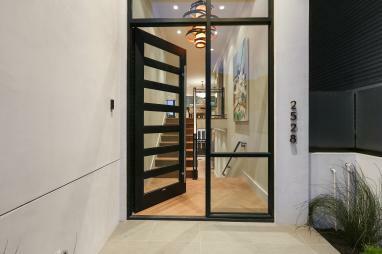 Sophisticated, stylish and elegant multi-level home with luxury finishes and beautiful details throughout. 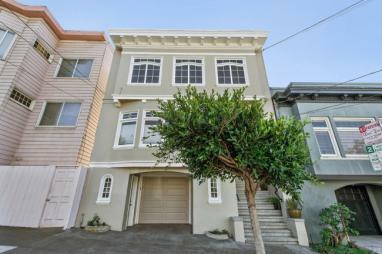 Located in the serene community of 800 Summit in San Francisco, this 3 Bedroom, 2.5 Bathroom, 1 Car Parking home has it all! 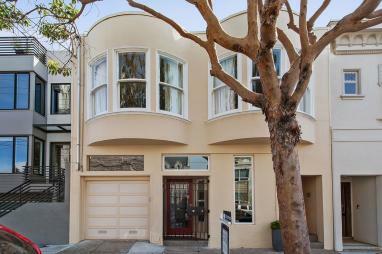 A one of a kind home in the beautiful area of Diamond Heights on the cusp of Glen Park. The home is nestled above a canyon providing spectacular outlooks and views. Boasting 3BD+ family room/2.5BA/2 car garage, the property flows elegantly providing a wonderful entertainment space for family and friends. A private backyard featuring a garden, sunbathing space, hot tub, and lush plantings complete this remarkable residence. 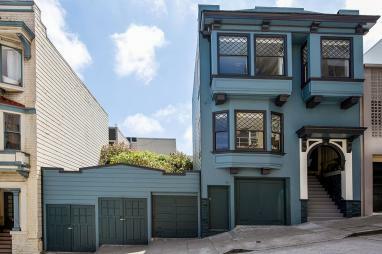 Prime 3-level view home in the heart of noe valley. 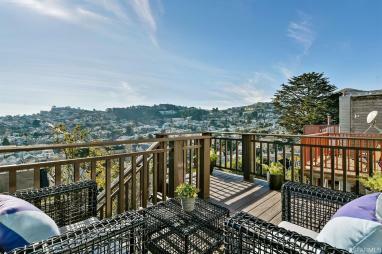 two bedrooms plus sunroom, 2 bathrooms, 2 decks and spectacular south facing views of San Francisco. 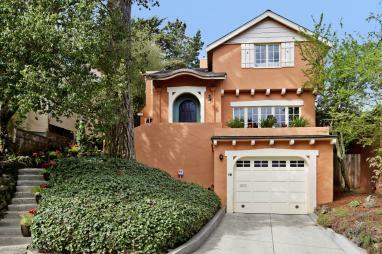 Outstanding Single Family Home in Ross - one of Marin's most iconic neighborhoods. 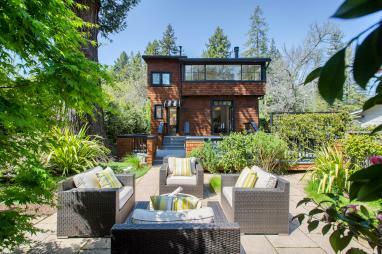 With fabulous indoor and outdoor entertaining, this is truly a special home. 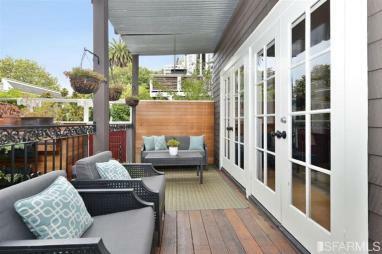 Off-Market Condo in the highly walkable and charming Marina District. 2 bedrooms, 2 bathrooms and 1 car parking complete this sophisticated and cozy home. Located in the quiet, yet central neighborhood of Ashbury Heights, this quaint TIC offers an abundance of natural light. With a great open floor plan and private deck, this is a perfect home for indoor/outdoor entertaining. 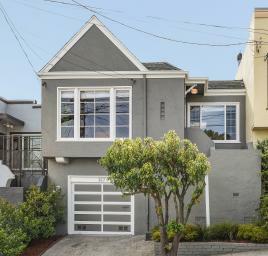 A wonderful opportunity in the Silver Terrace neighborhood of San Francisco, this two-level Single-Family Home features two Bedrooms, one full Bathroom, Living Room, formal Dining Room, two bonus rooms with half Bath, and large yard full of potential. Spacious garage with one-car parking and ample storage space, complete this magical home. CHARMING CONDO IN THE HEART OF JORDAN PARK. BEAUTIFUL CORNER UNIT SHOWCASING AN ABUNDANCE OF NATURAL LIGHT. JUST STEPS FROM ALL THE FANTASTIC SHOPS AND RESTAURANTS LAUREL VILLAGE AND SACRAMENTO STREET HAVE TO OFFER. 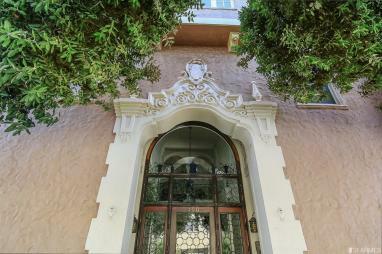 Stunning corner unit situated in the desirable Park Lane residences of Nob Hill. This lovely home features two bedrooms, two and one-half bathrooms, formal living room, formal dining room, and includes crown molding, hardwood floors, and incredible natural light throughout. 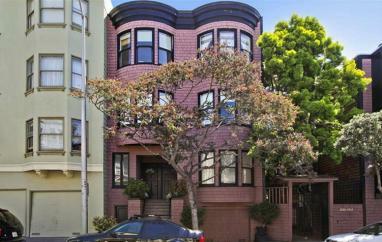 Its prime location places it in the heart of San Francisco close to shops, restaurants, and Union Square. Two car parking included. Exquisite St. Francis Wood multi-level single-family home featuring four bedrooms, three and one-half bathrooms, library, family room, two decks, and two garages. With stunning views of the Pacific Ocean, this property showcases gorgeous colonial-style details, an abundance of natural light, original hardwood floors, and a lovely rear garden. Reminiscent of a London Townehouse, this wonderfully designed four-level home includes four bedrooms, five and one-half bathrooms, three family rooms, multi-car pkg, and features modern and sleek amenities. A spacious landscaped backyard, decks, and incomparable North Bay views make this one-of-a-kind home truly special. Beautiful home in the highly sought after neighborhood of Sea Cliff, featuring three bedrooms plus a sunroom, two and one-half bathrooms, and two car parking. Stunning, new construction condominium in The Pacific. The unit features three bedrooms, three bathrooms, and one parking. 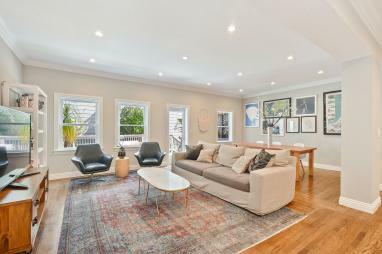 Located in the coveted neighborhood of Pacific Heights, this condo is walking distance to Fillmore Street and its many restaurants, cafes and shops. 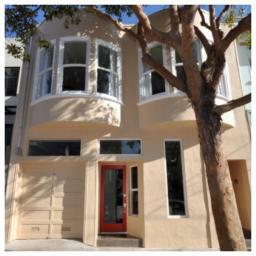 Brand new construction located in the highly sought after neighborhood of the Inner Mission. 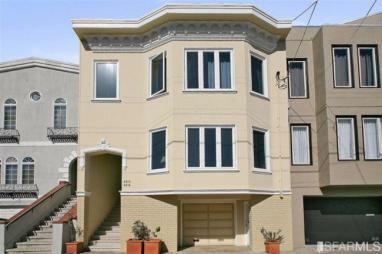 This single family home has four floors featuring four bedrooms, four bathrooms, and a garage. This property is a few blocks away from Dolores Park and walking distance to many popular shops and restaurants in the Mission. 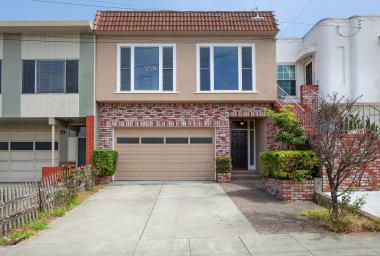 Located in the Glen Park Neighborhood of San Francisco, this charming two-level single family home features 3 bedrooms, 2 bathrooms, a spacious garage, and a beautiful landscaped backyard perfect for hosting family and friends. This gorgeous condo is located in the popular Marina District of San Francisco, with peek-a-boo views of the Golden Gate Bridge. 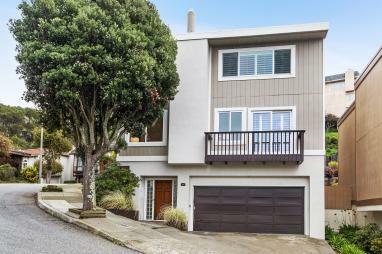 Featuring 3 bedrooms, 2 bathrooms and 1 parking, this lovely property is located directly across the street from Moscone Park, near the Marina Green and Fort Mason, and just steps away from shops and restaurants on Chestnut and Union Streets. 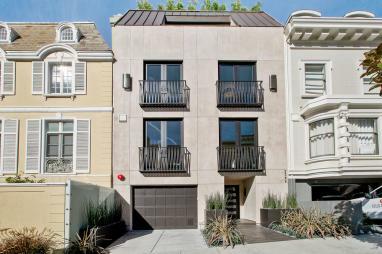 Stunning new construction in the highly sought after Hayes Valley neighborhood of San Francisco. 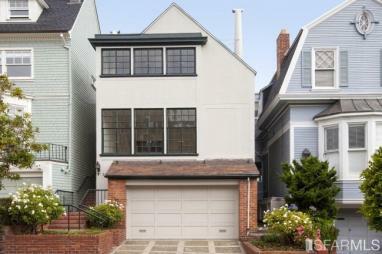 This off-market, two-level TIC features 3 bedrooms, 3.5 bathrooms, 1 parking and outdoor space. 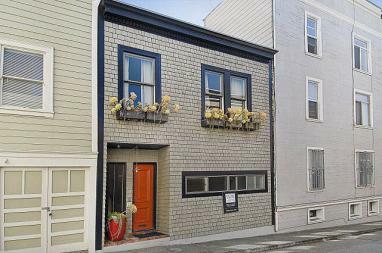 Charming two-unit building in the highly sought after neighborhood of Noe Valley. Upper unit features one bedroom, one bathroom, open living room-dining room concept, updated kitchen and private deck. Lower unit consists of two bedrooms, one bathroom, living room, dining room and private patio. A shared back yard, two car tandem parking and storage complete this unique property. 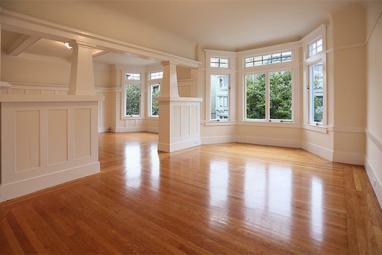 Spacious and exceptionally well-maintained 2-unit building in the vibrant Richmond District. With a wonderful floor-plan and flow, each flat has beautiful period detailing, a large front living room with fireplace, spacious formal dining room, remodeled eat-in kitchen, a split bathroom, two large bedrooms and a rear sunroom. To complement these large units is a two car garage and a rear garden plus a huge and wonderfully remodeled garden unit (delivered vacant). With GG Park right out your front door and great Richmond location, this property is perfect for the discriminating homeowner or investor! 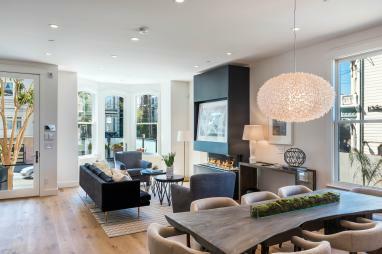 A TRULY STUNNING CONDO LOCATED IN THE DESIRABLE PARK LANE RESIDENCES OF NOB HILL. THIS GORGEOUS UNIT FEATURES 2 BEDROOMS, 2.5 BATHROOMS, HARDWOOD FLOORS, A FORMAL DINING ROOM AND INCREDIBLE NATURAL LIGHT THROUGHOUT. A unique off-market loft located in the highly sought after neighborhood of Dogpatch. The property features 1 bedroom, 2 bathrooms, 1 parking spot and a lovely outdoor space. Located in the popular neighborhood of Cow Hollow, these charming flats feature 2 Bedrooms, 2 Bathrooms and beautiful hardwood floors throughout. A gorgeous landscaped yard and spacious garage complete this fantastic investment property. 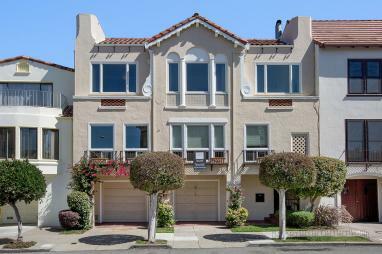 This lovely, multi-unit property located in the highly sought after Lake Street District of San Francisco features 2 Units and a Garden Apartment. Both units are incredibly spacious showcasing 2 Bedrooms, 1 Bathroom, with a formal Living Room and Dining Room layout. Ample garage space, a beautifully landscaped garden and close proximity to Mountain Lake Park, complete this one of a kind property. 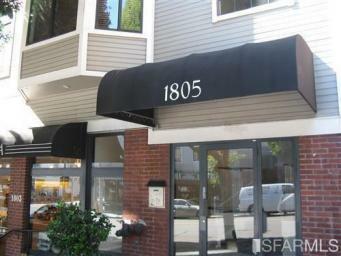 These spacious flats are located in the highly sought after neighborhood of Hayes Valley. These gracious units showcase charming details and hardwood floors throughout. With parking and close proximity to shops, restaurants and cafe's in Hayes Valley, this property is the perfect investment! SPACIOUS FLAT FEATURING FORMAL LIVING ROOM WITH FIREPLACE AND BAR AREA, FORMAL DINING ROOM, BREAKFAST ROOM, UPDATED KITCHEN, THREE BEDROOMS, TWO BATHROOMS, EXCLUSIVE USE ROOF AREA AND TWO-CAR PRIVATE GARAGE PARKING. Charming two-unit Edwardian that sits on an extra wide lot in the heart of Nob Hill with views of Downtown, the Bay and North Beach. 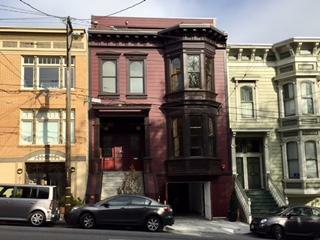 With gorgeous period details, this property is a true find in a wonderful neighborhood, offering access to all of San Francisco has to offer! Two gracious and spacious flats with open floor plans and beautiful detailing. 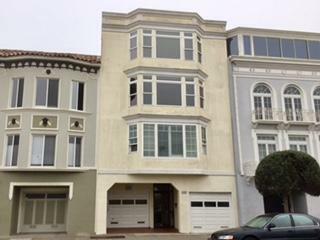 The upper flat is two stories, 3+BR/2.5BA/plus office, Bay & GG Bridge views. The lower 2BR/2BA flat opens to a 2-level south facing patio/garden ideal for entertaining. 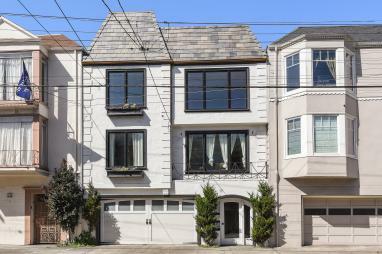 Beautifully renovated four-story home in Presidio Heights. This stunning property features 5 bedrooms, 6 full and 2 half baths, exercise room, wine room and elevator to all levels including 5th floor roof deck! This spectacular home offers immaculate outdoor living areas as well as breathtaking views of the Golden Gate Bridge and Presidio. SPACIOUS TOP FLOOR CONDO FEATURING FORMAL LIVING ROOM WITH FIREPLACE, FORMAL DINING ROOM, KITCHEN WITH BREAKFAST AREA, TWO BEDROOMS, SUNROOM, ONE AND A HALF BATHROOMS, LAUNDRY AREA, SOUTH FACING BACKYARD WITH DECK AND ONE CAR GARAGE PARKING. 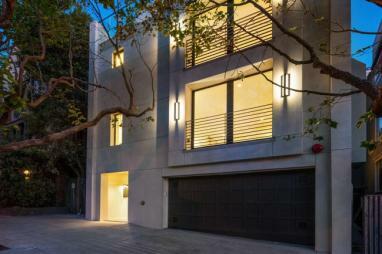 Spectacular, State of the Art, Newly Constructed, Custom Residence. 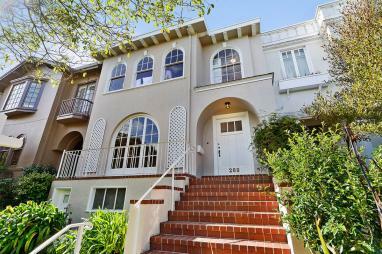 Absolutely spectacular three-story, Alcatraz to Bay view home in prime Pacific Heights. Stunning renovation featuring 4 bedrooms, 4.5 bathrooms, sensational open living & dining room, kitchen, family room, media room, spa, wine room, view decks & 2-car garage. Extraordinary, meticulously renovated home. 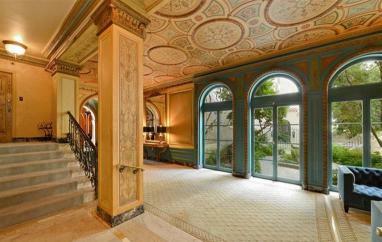 Stunning formal rooms, 5 BRs, 5+ BAs, 2 Family Rms, Wine Rm, Spa, Terraces, & State of the Art Amenities. A truly gorgeous residence! 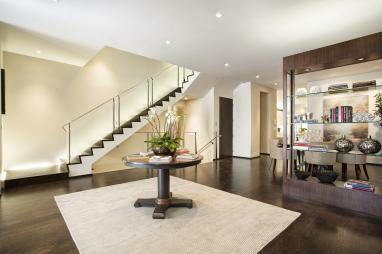 Located just a few blocks from Union Square, 765 Market Street is a spectacular Four Seasons residence. 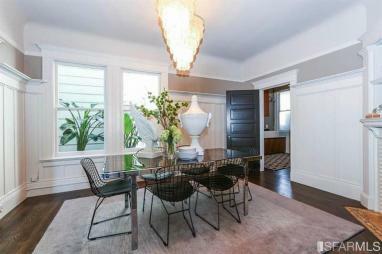 This richly designed condo features 3BD/4.5BA with a house-like layout. East, South & West exposures provide beautiful light from sunrise to sunset. Five-Star hotel amenities complete this sophisticated and rare find! This gracious Pacific Heights residence is located in a prime area close to the Presidio where one can enjoy the many walking trails, museums, restaurants and incredible outlooks and views. Julius Kahn playground is within walking distance and where there are tennis courts and a children's playground. 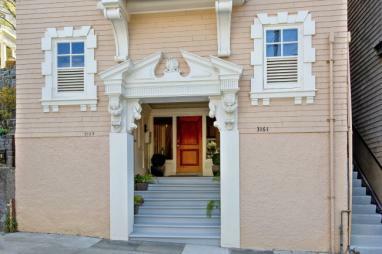 68 Presidio is also within walking distance of Sacramento Street and Laurel village shops and restaurants. 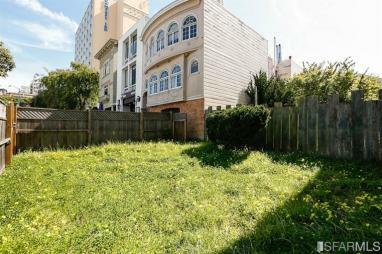 A rare opportunity in the charming Cow Hollow neighborhood. 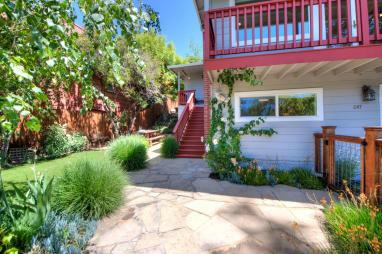 This single-family home sits on a beautiful tree-lined street and features 4BD's/3BA's and 2-car parking. With iconic views of the San Francisco Bay, this property showcases gorgeous details, lots of natural light and a lovely garden. Just steps away from all the popular shops and restaurants on Union and Chestnut Streets! 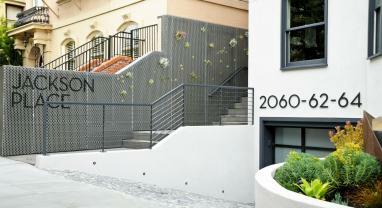 Located in Jackson Place, a newly completed three unit project, 2060 Jackson is simply stunning. Two levels featuring three bedrooms, three and a half bathrooms, two fireplaces, huge floor to ceiling glass windows & sliding doors, an open floor plan, walk-out rear patio, views of the Bay & Alcatraz, elevator and two car parking. 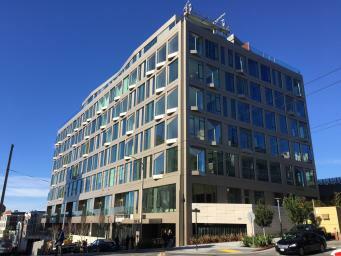 Located in Pacific Heights, this luxurious building includes modern high- rise amenities with boutique San Francisco comfort. 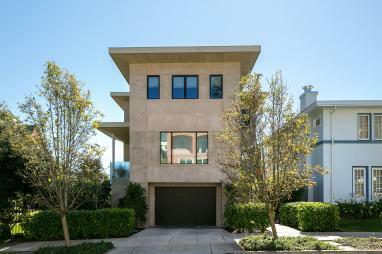 Located on a beautiful, tree-lined street this exquisite, three-level home features 3BRs, 3.5BAs and picturesque views of the San Francisco Bay and Palace of Fine Arts. A walk-out deep yard with manicured garden, stone patio, entertaining area and outdoor gas burning fireplace complete this stunning Cow Hollow residence. Located on a beautiful Park Presidio parkway this is an exquisite Georgian Tudor home. Approx 5330 sq ft. Built in 1923 and currently owned by the same family for 30 years, this home has been meticulously expanded, renovated, and maintained to perfection. 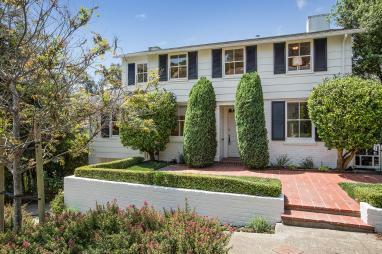 A double wide landscaped lot plus the foliage that lines Park Presidio in the front makes this property feel like a retreat within the city! 5Br's, 3 full and 2 half baths, 2 family rooms, office, work out room, wine cellar. A spacious deck off the breakfast room is prefect for indoor /outdoor living. 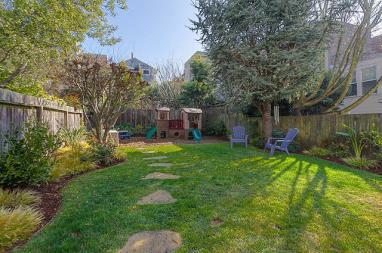 The backyard is park-like and ideal for entertaining and family fun. 1/2 Blk from GG Park Rose Garden, easy access to 280 for commute. 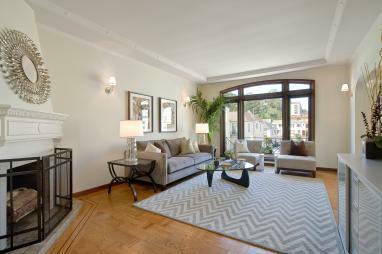 Beautifully renovated 2BD/1BA/1PKG condo in the heart of the Marina District. 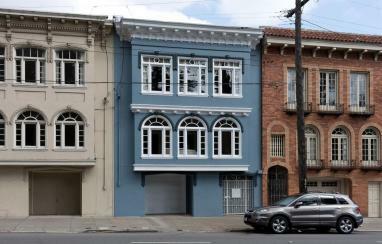 Gorgeous building just steps away from popular shops and restaurants on Chestnut Street! 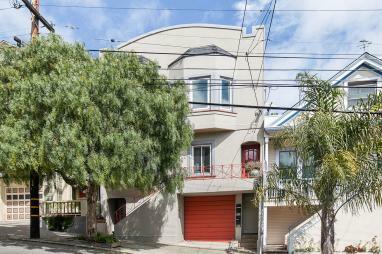 Bright and spacious Noe Valley condo featuring 3BD/2BA/1PKG, shared yard and parking. This updated home is just steps to Church Street shops and restaurants and Mission and Valencia neighborhoods! 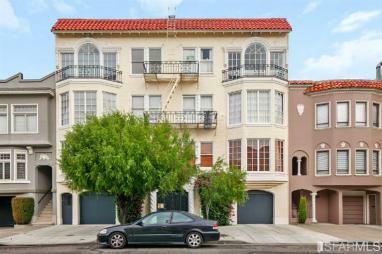 Beautiful 1 bedroom, 1 bathroom condo in the prestigious Presidio Heights neighborhood. Just steps away from booming Sacramento and Fillmore Streets. This charming home has floor to ceiling windows allowing an abundance of natural light. Peaceful deck off the bedroom make this home a peaceful and private sanctuary. A charming 1 bedroom + office and 1 bathroom condo located on the historic brick pathway of Cottage Row. A private porch and garden complete this quaint and serene property. 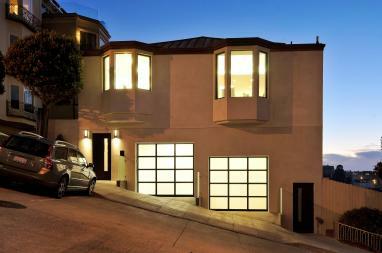 Truly, a one of a kind San Francisco home! This beautiful Arts and Crafts style detached two-story home, was built by Willis E. Huson. The fabulous walk-out garden and backyard is exquisitely composed of original woodwork, authentic floors, sashed windows, carved stairs, beamed ceilings & paneled walls. Built in 1931 this home is approx 2,100 sq.ft & includes 3BRs/3BAs, sunken LR w/gorgeous fireplace, formal DR, breakfast rm, renovated kitchen, wine rm and 2 car garage. The luxurious master suite encompasses the top 1/2 of the house and boasts a spa style master BA. Nestled on a stunning lot with lush greenery, mature trees, walk-out patio, yard area, hot tub & separate Asian inspired tea house, this lovely home offers a magnificent setting for outdoor entertaining. True pride of ownership! 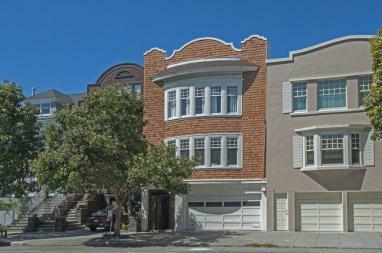 This lovely, single-family home sits on the coveted Lone Mountain cul-de-sac of Ewing Terrace. Built in 1940, this exquisite two-story home has been in the same family for many years and has been meticulously cared for during that time. Four bedrooms (three bedrooms on the main level), an office or family room, one full plus two half baths, and a beautiful yard - this is a perfect home for raising a family. Located on a large corner lot, this private oasis sheds incredible light throughout the home and showcases a beautiful garden for outdoor living and entertaining. 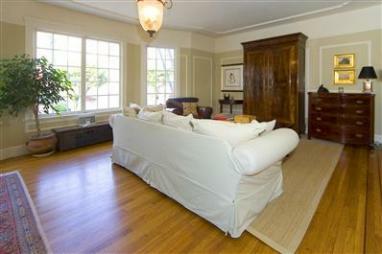 This rarely available home affords lots of privacy, while still enjoying the benefits of living in the city. This charming, Edwardian Condominium is located in the highly sought after North of Lake Street neighborhood. This lovely home features 3 bedrooms, 1 bathroom an office and 1 car parking. Nestled on the stunning, tree-lined block of 6th Avenue, this quaint property is just steps from Mountain Lake Park. Ideal for Multi Generation and Large Families! This lovely house on a neighborly block has been refurbished to accentuate beautiful original details and all the amenities of this spacious home. 4BRs/3BAs with family room (or 5th BR). Open living & dining room w/fireplace, built-ins & large windows that creates a spacious and light filled family gathering area. Newly renovated kitchen with granite counters and new appliances, new floors & carpets, newly painted inside & 4 skylights create a warm and inviting family home. Ideal for a large or multi generation family affording privacy with 2 floors of living space. Laundry Rm W/D & freezer, 2 car garage plus 2 car driveway parking, center patio, yard & deck. This special home is a must see! 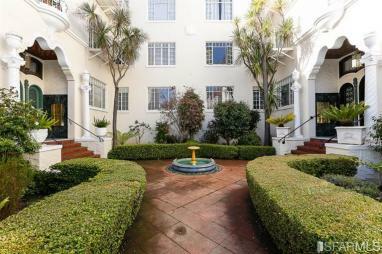 Beautiful and spacious 3 bedroom, 1 bathroom and 1 car parking condo in Mission Dolores. This light-filled home features classic details, updated kitchen and bath, and beautifully finished dark hardwood floors. This corner unit has gorgeous curved windows overlooking the vibrant neighborhood with excellent natural light. This prime location is just steps away from trendy bars and restaurants, Whole Foods, Dolores Park, and the Valencia Corridor. Open living room, dining room and chef's kitchen, two bedrooms, one full master bath, two half baths, mudroom, deck, storage, two car side-by-side garage. Beautifully renovated top floor condominium located in the prime Lake Street corridor. 2 Bedrooms, 1 Bath, Living Room with fireplace, Formal Dining Room, Chef's Kitchen, hardwood floors, and an enchanting backyard completed this gorgeous condo. 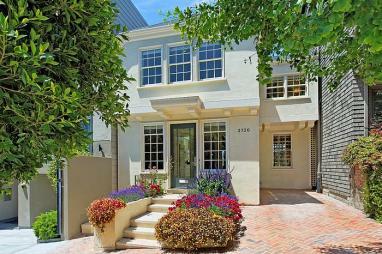 Exquisite Mediterranean home on an oversized double lot, adjacent to St. Francis Wood. This enchanting home has been owned by the same family for over 60 years and features 4+BR/4BA, over 4,100 sq ft, newly painted interior and exterior. 3 Stories with, walk out patio off kitchen, wonderful knotty pine rec room w/wet bar, and sitting rooms off of both master suites. An elegant and stately corner lot that can accommodate 6+ car parking. There are two separate lots included. 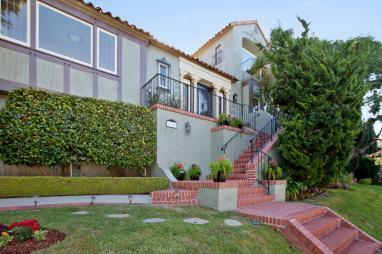 121 Junipero Serra, the main lot, is an oversized 90' x 70' sq. ft. lot. 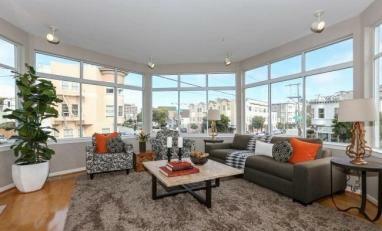 An incredible 2 unit building located on a double lot in the gorgeous Cow Hollow neighborhood. Steps away from popular Chestnut and Union Streets. The flats are spacious, light filled units, each with two bedrooms, one bathroom and a bonus sunroom. The double lot offers a wonderful opportunity. This lovely 2-unit bldg. rests in the heart of the Inner Richmond. Top unit features 3BD/3BA/1Office. Bottom unit features 2BD/2BA. Large backyard for entertaining! Spacious and renovated condo located in a 2-unit Edwardian on the border of Lake Street and Sea Cliff. This lovely two- level condo features 3 bedrooms, 2 bathrooms, chef's kitchen, formal dining room and direct access to a beautifully manicured backyard and garden. 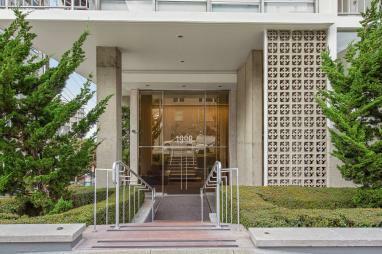 Located in the heart of Russian Hill just steps away from popular restaurants and shops, 2550 Polk Street is a classic San Francisco property! This light-filled, top floor condo features an open floor plan, living room/dining room with fireplace, two spacious bedrooms, one bath, office nook, renovated kitchen and beautiful hardwood floors. 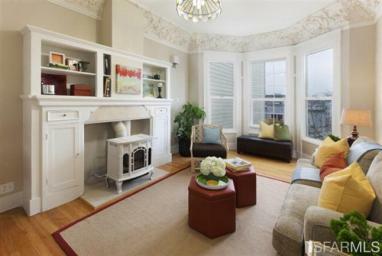 Amazing 3BD/2BA condo in the heart of Noe Valley. Open entertainment floor plan with beautiful finishes. Large backyard and lots of space! 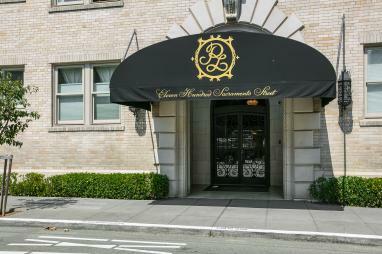 Charming and sophisticated one bedroom, one bath, classic condominium. 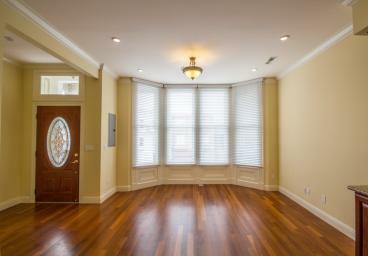 An spacious open living/dining room features lovely windows, hardwood floors and great architectural details. Located near Laurel Village shopping, wonderful Sacramento Street boutiques and restaurants, and the Presidio National Park. This is a true San Francisco gem! near Laurel Village shopping, wonderful Sacramento Street One Letterman Drive boutiques and restaurants, and the Presidio National Park, this is a true San Francisco gem! 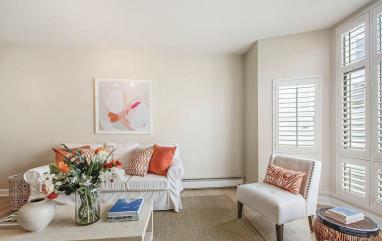 This centrally located one bedroom, one bathroom Mission Dolores condominium, boasts lots of natural light. Sunlight bursts into the charming living room and dining room. Period details throughout with updated granite counter tops and stainless appliances. Shared garden with 1 car parking. Dolores Park right outside your door! 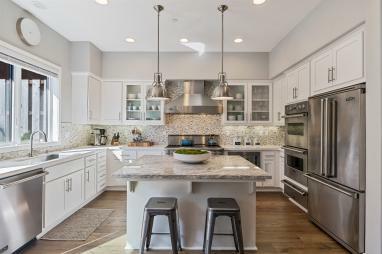 Charming, Marina condo that sits just a few blocks away from all the lovely shops and restaurants Chestnut Street has to offer. This sun-filled condo features 1 bedroom, 1 bathroom, a large walk-in closet, remodeled kitchen, arched doorways and beautiful hardwood floors. 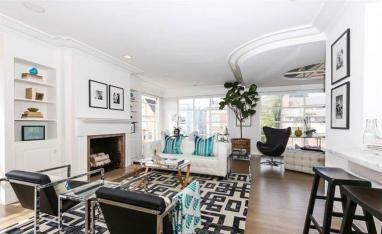 A vibrant condo in the heart of Lower Pacific Heights. 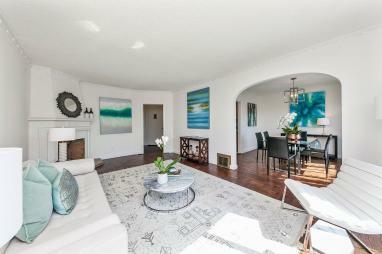 Located on the very popular Fillmore Street, this condo is just steps away from all the great shops and restaurants. This open floor-plan condo features 1BD/1BA/1Car Parking, with an updated kitchen and bathroom. 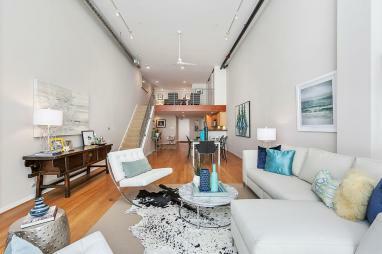 High ceilings, beautifully painted interior, and a private verdant lookout complete this stellar unit!